The Management Suite is a must for large ClickShare and wePresent installs. 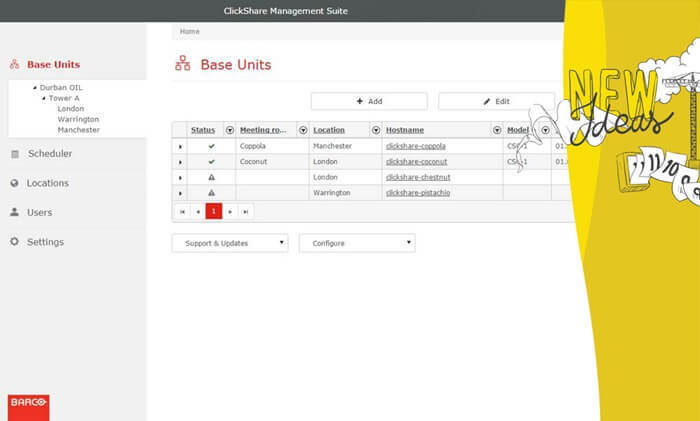 From one location, system administrators can manage the complete fleet of ClickShare models and wePresent units throughout the company, in any location. This is especially useful in large corporations with multiple units of both types installed across different sites. The Management Suite is a web-based tool, so the system administrator can use it anywhere, even remotely. The look and feel ensure an intuitive experience, with enhanced stability and security of the application. 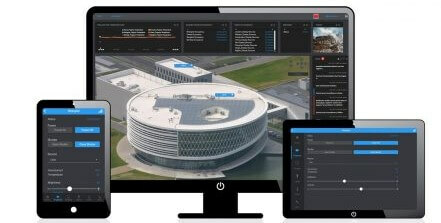 The XMS Cloud gateway connects the on-premise device management suite to the XMS Cloud Management Portal, allowing remote access and control from any location, with the highest security possible. Access your live cloud dashboard for the status and monitoring of all your connected devices, next to the local dashboard you use for the maintenance and issue solving. System administrators, integrators and managed service providers (or anyone who was granted access) can enjoy unlimited flexibility and improved service capabilities. Reliable enterprise platform, designed for 24/7 operation.